Dressage is for every rider and any horse, no matter what age, level of education, and what your goals may be. 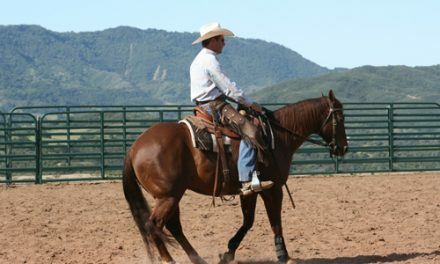 It is simply a natural training method for the horse and rider that leads to great success. So if you are a western rider, dressage training will help you bring out the best in your horse and you as a rider. Western Dressage is a huge step in the right direction to improve the western rider’s education and skills. Be careful if you try to ride a dressage test; you will get hooked because it is so much fun. Now that you have studied some of my suggestions about getting yourself ready for the show ring, let’s focus now on the horse. Keep the following in mind as you prepare for your first Western Dressage show. Train with patience and understanding about your horse as an individual and not just comparing him to other horses. Understand what is required in each level and test. Know your horse’s confidence level and how he will handle what would be asked for in a test. Aim for willingness and consistency. 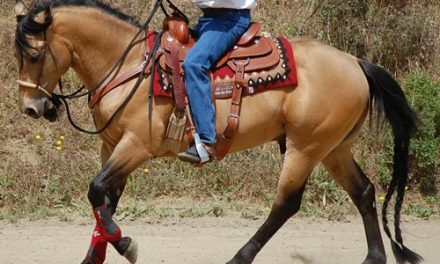 Evaluate your horse’s fitness. Become educated so you know what is your horse’s best weight and muscle tone. Evaluate your horse’s soundness, both his overall soundness and the soundness of his legs and feet. Know and work closely with your vet and blacksmith so that your horse is healthy and sound. It takes a great deal of knowledge and time to make sure your blacksmith is trimming or shoeing your horse correctly and for your vet to know this too. 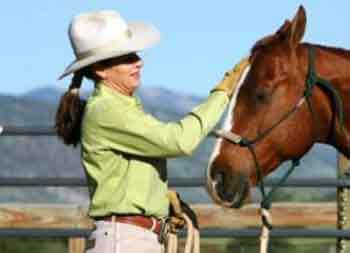 Aim to keep the limbs of the horse sound without medications if possible. Set time lines for you and your horse to prepare for yearly goals. Set them and if you are not reaching them, reevaluate them without getting upset and taking it out on the horse. Don’t give in to peer pressure. Don’t let others, such as family members, friends, trainer/coach, or other competitors talk you into thinking that you need to do more then you are capable of doing or want to do. Don’t attempt to reach goals your horse isn’t ready to handle. Stay on a realistic path and set achievable goals. Prepare for your show at home. Find out exactly what you need to do in order to sufficiently warm up to practice for the level you plan to show in. Prepare the warm-up you will do before you enter the ring. Practice what to do and what direction to turn down the center line to start your test. Prepare your tack and clothes ahead of time, and know how long it takes you to get ready. You can rehearse at home. Make packing lists for horse feeding and care, tack to show in, and clothes you wear to compete in. This will keep you from worrying that you’ll forget something. Make travel plans and time lines of when you are going and for how long. Prepare your vehicle and trailer for safe travels. Please refer to our traveling DVDS available on the website. Decide with confidence, excitement and what I call “the eye of the tiger,” to go to the show and have a great time and success. I hope these tips will give you confidence and encouragement to show. Your horse will tell you if he’s not ready by a poor responses if the challenge is too difficult for him. So listen to your horse and go for it. Get out there and tell your friends: Dressage is for everyone in the horse world! Also, we would love to have you come ride with us. We love to share our dressage backgrounds and knowledge with you. 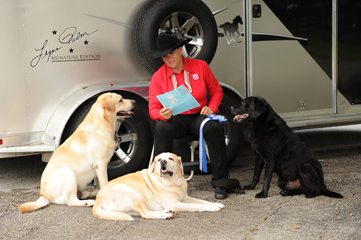 You can join us at our Ocala, Florida, farm or at one of our Ride Well Clinics on our USA Tour at a location near you. For more information on clinics and training materials, please visit www.lynnpalm.com or call us at 800-503-2824. NextWestern Dressage: Are You Ready To Show?